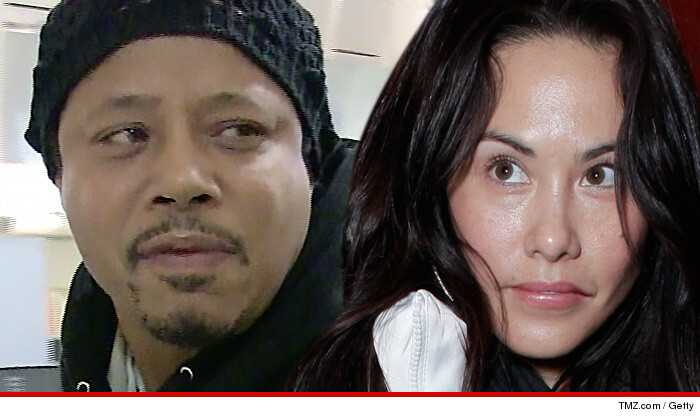 Terrence Howard cooked up a diabolical plot to hide his fortune from the court and his ex-wife -- at least according to the ex-wife who's now demanding he fork over nearly half a million dollars ... STAT. Michelle Ghent claims Terrence owes a fortune in back spousal support and legal costs -- $481,715 and growing -- and she wants the court to force him to pay. TMZ broke the story ... Terrence claimed most of his earnings go directly to another ex-wife Lori McMasters in the form of support ... and there's not enough left over to pay Michelle. But in Michelle's new court docs she says Terrence admitted, back in 2013, that he created the "fake debt" to McMasters. She says his plan was to make it look like he had no funds -- and he told her, "I am not gonna give you one cent." In the docs, obtained by TMZ, Michelle says Terrence hauled in at least $1.3 mil last year alone ... and has steady work lined up for the next 2 years that will pay handsomely. Bottom line ... she wants her cut -- as in every cent of his future earnings until the debt is paid off.